Lauren Fox, FNP-BC, CCH is a board certified family nurse practitioner, classical homeopath, certified by the CHC, and an educator with thirty-five years of experience in private practice, as well as primary care in an integrative medical practice. A graduate of New England Deaconess School of Nursing, Boston College, and Northeastern University, Lauren has worked with clients across the lifespan, and has acquired a diverse experiential background, including over 20 years of attending women during their pregnancy and delivery. She is currently the Clinical Director for the non-profit organization , Homeopaths Without Borders. Lauren also has extensive experience in treating animals with Classical Homeopathy. 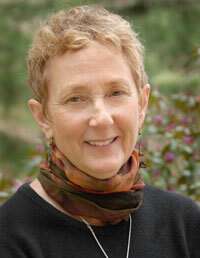 Lauren has studied at the National Center for Homeopathy as well as been an instructor. She continues to be a student of Classical Homeopathy with Master Homeopaths.